Doug Laubach and Dean Zook. The Montana Museum of Railroad History is a dynamic and growing museum featuring two of the largest model train layouts in the NW. 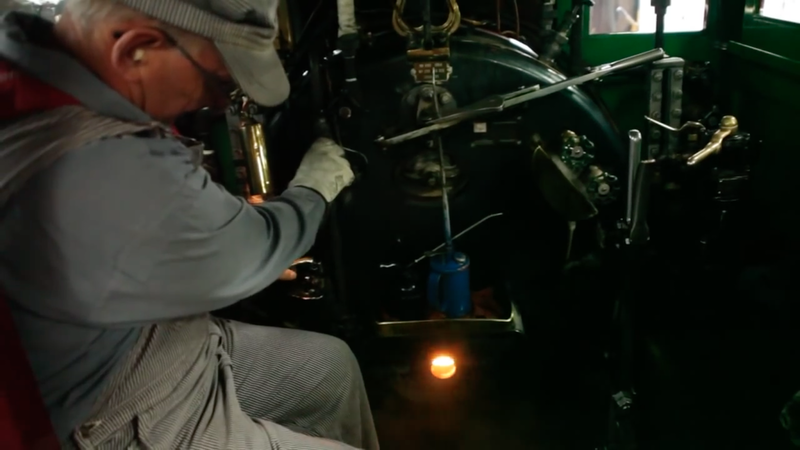 A steam locomotive formerly used at the Anaconda smelter in Great Falls, regular caboose tours and an extensive 2000 volume research library being organized with thousands of photos, hundreds of railroad items, and newly refurbished exhibits. 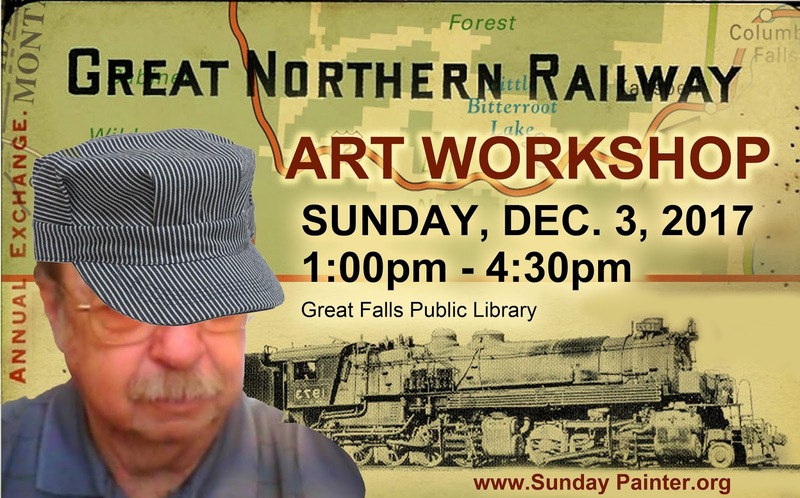 Train departs from The Great Falls Public Library Sunday Dec. 3, 2017 at 1pm. Take the elevator down to the basement for boarding. Meet us in the large (basement) library conference room. 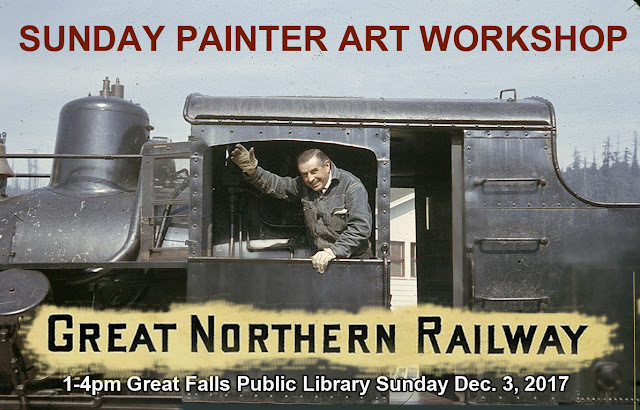 We have a lot of traveling ahead of us on this single pose painting session, so remember for a safe trip please bring your own supplies to Sunday Painter workshops. Supplies are not provided to attendees, sorry. Mediums allowed are: OIL PAINT, INK WASH, watercolor, acrylic, gauche, pencils, pens, charcoal. For those of you painting, please bring your own waterproof drop-cloth. 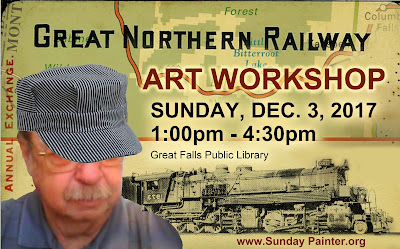 There is no charge for attending this Sunday Painter workshop. Donations are appreciated and help us continue to put on these events. As with all of our Sunday Painter events, there is NO pressure, NO competition and NO instruction or lecture. These art workshops are put on purely for the fun of making art individually, but together in a group setting.